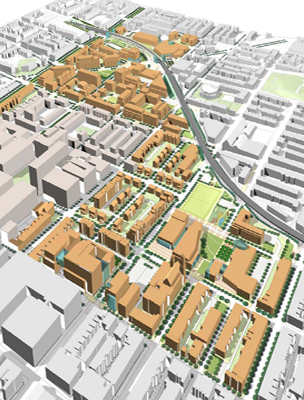 Program:Sasaki Associates and ArchPlan were retained by East Baltimore Development Inc. (EBDI) to prepare a masterplan for Phase II of the redevelopment of several communities in East Baltimore in tandem with the development of an extensive bio-tech park adjacent to the Johns Hopkins Medical Center. 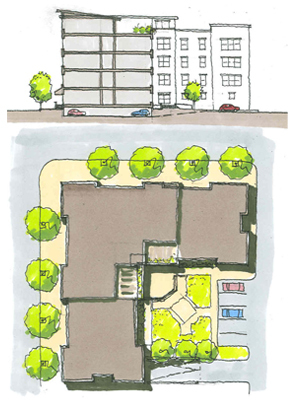 ArchPlan’s responsibilities included participation in community meetings and presentations, preparation of block infill typologies and an extensive analysis of preservation strategies. As a result of a preservation plan under NEPA 106 requirements administered by the Maryland Historic Trust, ArchPlan was then retained to develop a typology of rehabilitation concepts for homeowners who wanted to keep their homes and residency in East Baltimore and is now working with homeowners on the implementation of this plan. Design Approach: The consultants were instructed to develop the second phase of masterplanning with a preservation component, identification of TOD sites, the site for a new community school and a seamless continuation of the concepts for streetscapes and mixed use developed in phase 1 (then under construction). 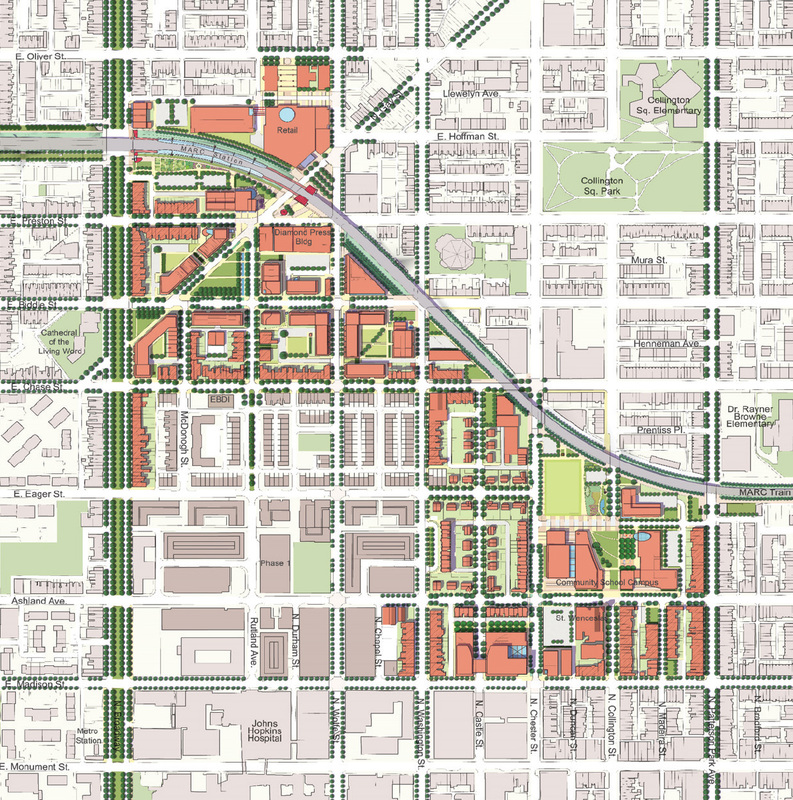 ArchPlan specifically focused on "preservation corridors", i.e. identification of blocks or streets where historical building substance justified preservation. The work included substantial public involvement strategies and many public meetings. The intent was to some degree to balance out discontent with some of the results of phase 1 which had demolished all structures and relocated all existing residents. Phase 2 strategies included the offer to owners to institute a program that would create some level of equity between those residents that had already received relocation benefits and those who still lived in the area and in houses identified for possible preservation. A later study that ArchPlan conducted documented the rehabilitation needs of the occupied houses in terms of long-term viable housing options. Of over 60 owner-occupied properties, the consultant team visited and measured ten houses and talked with their owners to begin to understand what types of improvements need to be made. ArchPlan was then retained to work with select homeowners and design the rehabilitation of their homes. That work was completed in 2011. Responsibilities: ArchPlan Inc. were retained as subconsultants to Sasaki Architects, Watertown Mass. to develop a phase II master plan beyond the partly realized phase 1 bio-tech project area. The full planning area is shown above with the phase 1 project area being blanked out.